American Civil War, 1861 to 1865. Infantry Command in Jacket and Kepi. 4x 28mm unpainted figures. Poles for the standard bearers not supplied, look to wire spear pack NSS102 for the most suitable. Flags not supplied. 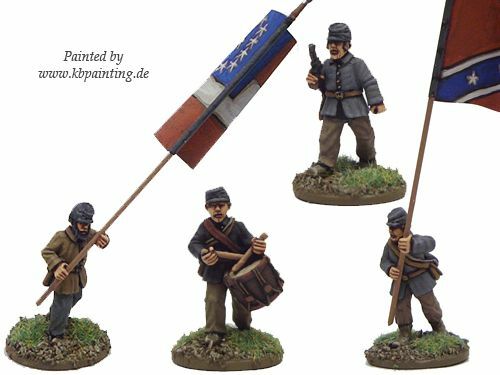 Suitable for both the Union and the Confederate army.